With a NOW TV Device you can give your entertainment the big screen treatment. Delivered free within 3-5 working days, all you need to do is plug it in, hook it up to your broadband and start watching. You can choose from our 4 TV Passes to create the perfect package for you. Simply pick the device, redeem the pass of your choice and start watching and start watching. You can then personalise your TV selection and add more Passes onto your account later on. 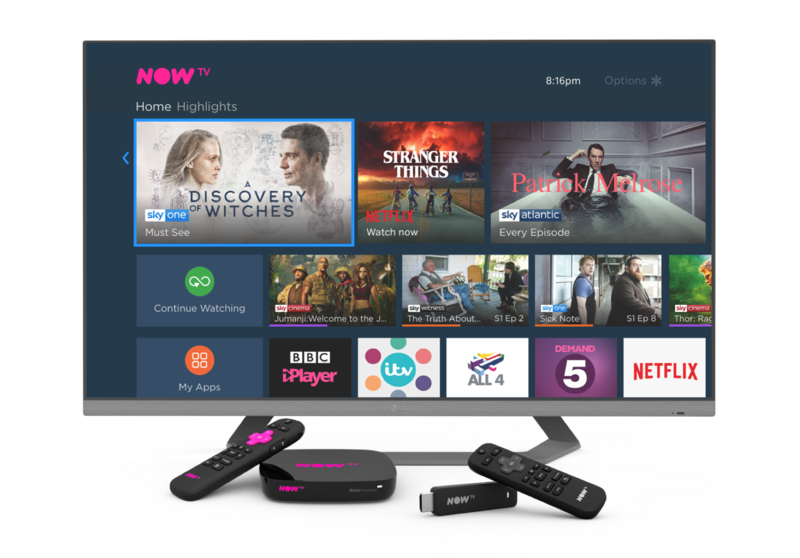 Our TV Passes give you the option of Sky Cinema for over 1,000 movies, Entertainment for over 300 Box Sets on demand and 1,000's of ad-free Kids TV episodes. You can also buy additional Sky Sports Passes as well as our hayu Pass giving 1000s of episodes of US reality TV. There's no contract, so you can dip in and out whenever you like. Enjoy over 50 apps Including Netflix, UKTV Play, YouTube, Sky Store, Vevo and more. Already got a device and need to activate it? Get started with your NOW TV Box or Stick in a few simple steps to start watching amazing entertainment.